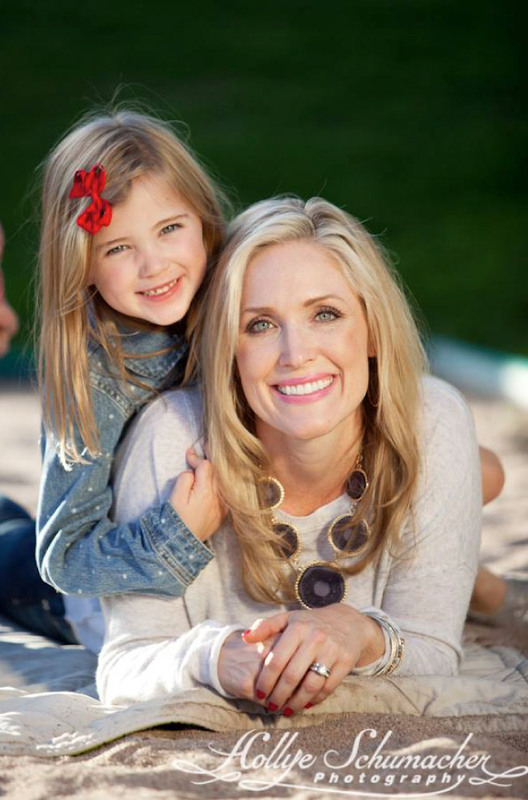 As a mother, an NFL wife and the executive director of a non-profit foundation, Nicole Cundiff wears many hats. Her day primarily rotates around her three young children, Chloe (6), Luke (4) and Caleb (1), but her other priority (and dream if you will) is to reduce the number of lives claimed by ovarian cancer. Her story begins in Scottsdale, Arizona where Nicole was born and raised, the oldest of four girls in a close-knit family. After high school, she moved to Iowa to attend Drake University where she majored in Management and Marketing with a minor in Spanish and Multi-Cultural Studies and an emphasis in Philosophy. 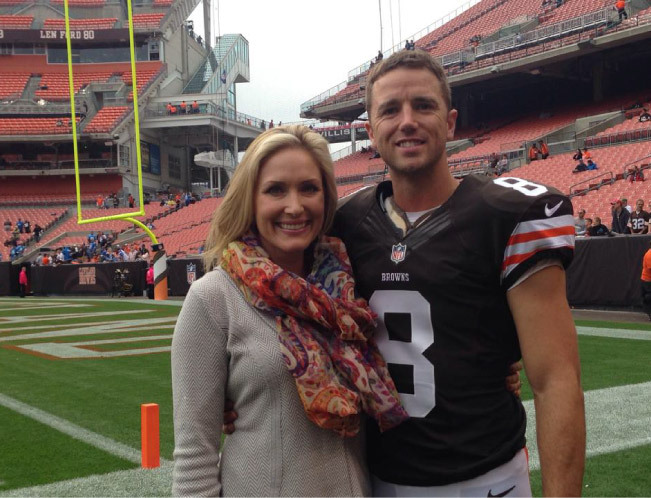 It was there that Nicole met her future husband, Billy Cundiff. After graduation, they moved to Dallas, Texas and Billy began his NFL career with the Dallas Cowboys. While he played football, Nicole graduated from law school and began practicing law. Thinking about starting a family, in 2005, the couple bought a home in Phoenix’s Arcadia area so they could be closer to Nicole’s family. It was a timely and fortuitous decision, since a short time later while Nicole was seven-months pregnant with their daughter, her mother, Colleen, was diagnosed with stage 3(c) ovarian cancer. Nicole’s life was turned upside down. It was an extremely emotional time for the family as they were thrust into an ugly world of invasive surgeries, harsh chemotherapy and tons of uncertainty. 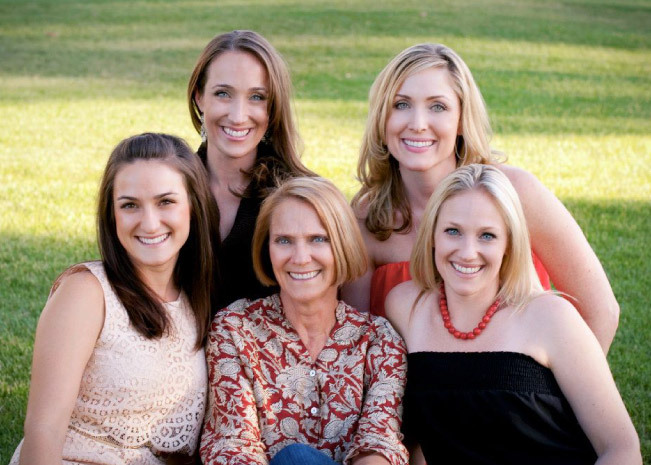 At the time of Colleen’s diagnosis, the family had never heard about ovarian cancer, so they were startled to learn that mortality rates hadn’t changed much in 40 years and their mother was likely looking at a death sentence. Nicole and her family decided something had to be done, so they started to raise funds for research and rolling out awareness campaigns. They held a couple of parties in Nicole’s parents’ back yard and almost 500 people showed up! The family was grateful for the outpouring of support, thus giving them the confidence to later start Colleen’s Dream. 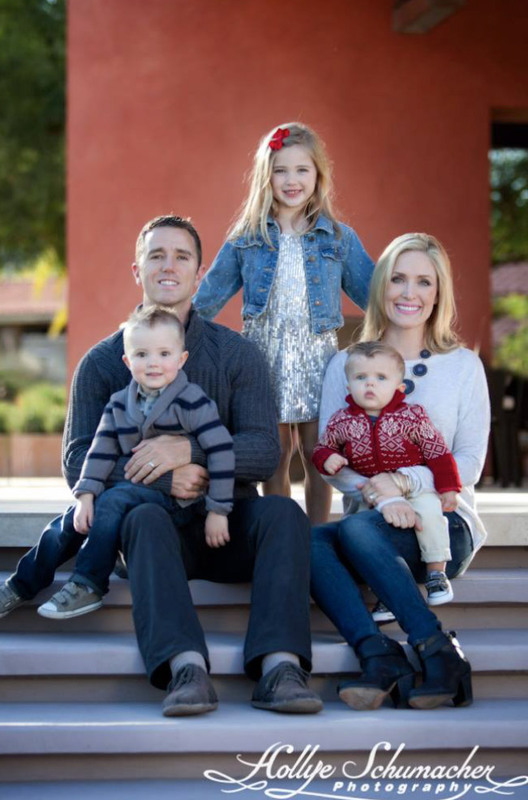 In 2012, after the ovarian cancer metastasized to her mother’s lungs, Nicole and Billy decided the time was right to use his platform as an NFL kicker to legitimize their fundraising efforts and really make a difference in women’s lives. Colleen’s Dream was born. The goal of the non-profit is to raise money for early detection research for ovarian cancer. In its first year alone, Colleen’s Dream gave eight grants to renowned cancer research centers, including Johns Hopkins, Cleveland Clinic, MD Anderson, Fred Hutchinson Cancer Research Center, Moores Cancer Center, Memorial Sloan Kettering and Arizona Cancer Center. Nicole and her family are committed to making Colleen’s Dream their life’s work and believe they can help find an early detection test for ovarian cancer and save lives. An ambitious goal and dream indeed, but with Nicole’s determination and drive anything is possible. Comfortable, classic and bright!! It doesn’t matter what you are wearing if you are not smiling! It’s too hard to pick just one!! But, I’d have to say my bright pink YSL lipstick. I don’t go anywhere without it. MSL: What inspired you to start Colleen’s Dream? How can people find out more? My husband and I started Colleen’s Dream after my mom was diagnosed with ovarian cancer. She was my best friend and sadly passed away last year after a 5-year battle with the disease. Losing her was the hardest thing I have ever been through and I miss her every day. That being said, I feel really blessed we are able to make a difference in other women’s lives in her name. Ovarian cancer is the deadliest of gynecological diseases and the treatment is completely inhumane. You often hear ovarian cancer survivors referred to as the “walking wounded.” The physical and psychological battle scars are horrendous. Our goal is to find an early detection test because when ovarian cancer is found early, it is generally survivable. If a woman is diagnosed in stage 3 or 4, the 5-year survival rate is very poor, around 30%. We have a lot of information on our website and you can read our story on our blog. MSL: Do you have any events coming up for Colleen’s Dream? We do! We are planning our first fashion show, Craft Beer and Couture, for September, which is Ovarian Cancer Awareness month. We have a great team of people involved for this event, including Amy Yount, owner of Amy, inc boutique. We will also hold our second annual golf tournament and gala in February 2015. Last year’s golf tournament and gala were a blast — we sold out both events and exceeded our fundraising goal. We had NFL friends from all over the country fly into town to support us, plus we had amazing sponsors like Kendra Scott, Fidelity National Title, Renaud Cook Drury Mesaros, and Valley Toyota Dealers. MSL: Do you have any tips on how you streamline your morning routine? With 3 kids and a husband who plays football on the other side of the country, my entire life has to be streamlined! I usually have less than 5 minutes to get dressed and ready so I make it easy on myself with CC cream, lipstick and mascara. MSL: Developing a unique style comes at an early age for some children. Do you let your children choose what they’re going to wear? How do you talk about getting dressed with your little ones? My daughter, Chloe, is a huge fashionista. She now wears a uniform to school, but on weekends, she loves changing her clothes a million times! I generally let her pick her outfits, but give her a little nudge if she puts on something like tennis shoes with a maxi dress. She loves accessorizing with scarves and purses and is obsessed with her pink sparkle TOMS shoes and pink leather cowboy boots from Sabas. I talk to her about looking like a lady and being put together. Now that Chloe is getting older, she is a blast to shop with. Her favorite stores are Nordstrom and Peek. The boys don’t give me too much trouble and generally wear what I set out for them. They both love Junk Food shirts — the NFL and Star Wars shirts are their favorites. My one-year-old always looks so adorable in Mini-Boden shirts. I buy them Joe’s and 7 for All Mankind jeans and Converse to wear with their shirts, so they always look cute and boyish. Stick with what works for your body and stay comfortable. I love brands like DVF, Rag & Bone, Theory and Vince for clothing and I am obsessed with Saint Laurent and Jimmy Choo for shoes. I also love buying less expensive, trendy pieces that work well with my classics — I wear scarves and Kendra Scott earrings almost daily. I know what fits my body and what works so I can go from carpool to a meeting to happy hour in the same outfit on busy days.